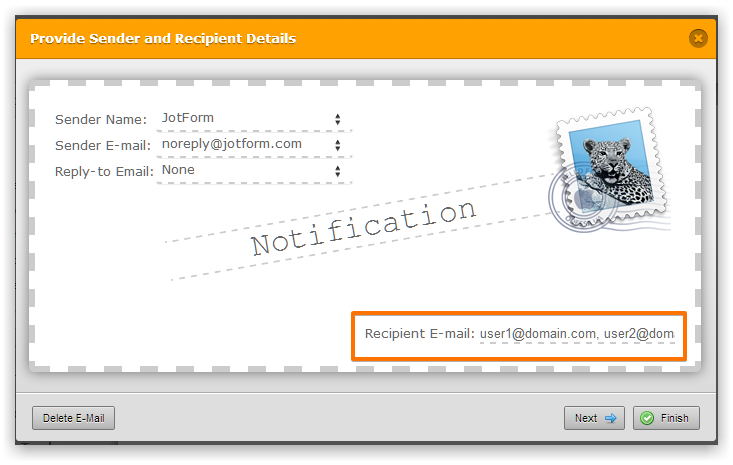 How do I add ANOTHER email address to get notified when there is a form filled out? When I get to that area the original email address is there. I DO NOT want to remove that one, I want to add another one. 5. Enter comma and space separated email addresses in the "Recipient E-mail:"
If you need further assstance, please feel free to contact us at anytime.